Paris is always a good idea, said Audrey Hepburn once. And, I have to agree. Not only it's so easily approachable by train from London, but also Paris has so many stuff to offer all the time. Been there many times already and still didn't get bored of the city. This time, was a short weekend visit to Paris for Fashion Week, as I have already talked about it in my previous posts. Paris is indeed a magical city and cannot wait to come back again! Hopefully soon. What I love about Paris, are the corner coffee shops with outdoor seating. The monochrome and symmetric architecture. The line of trees on the street. The gardens. Cannot wait for my another trip, this time somewhere far away for longer period. Follow me here on Instagram to found out where I am heading to soon! 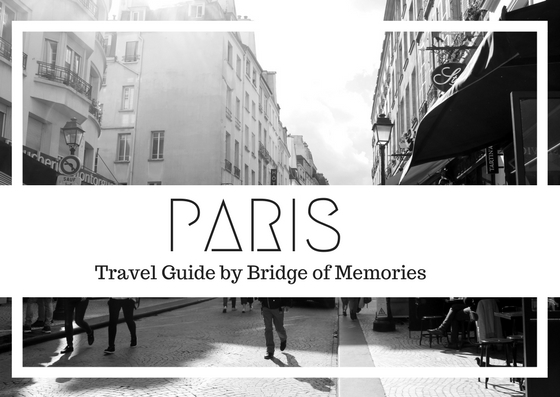 Besides that, sharing you my quick travel guide overview to Paris! Enjoy! The significant landmark of Paris, France. If you haven't seen Eiffel tower, you haven't seen Paris basically. The Eiffel tower is a metal construction build on Champ de Mars was build between 1887-1889. Eiffel tower is picturesque from every angle, whether from Champ de Mars or Trocadero of hidden side streets. Louvre museum is the largest museum and art collection in Paris, located in a very central of Paris. It is famous by the pyramid shape architecture as well as you will find the famous Mona Lisa painting inside. In 2016, Louvre was voted to be the most visited museum. It can take up even the whole day if you want to walk through the Louvre, so be aware. Additionally, be prepared for queues. Notre Dame is a medieval catholic cathedral located just on one of two natural islands in Seine river. Those two islands are called Ile Saint-Louis and it is just a great walk around admiring the French architecture and reflections! Musee d'Orsay is located on the left bank side of Seine river. The museum which hold mainly French art was a railway station back in 1844. If you love impressionism and post-impressionism masterpieces of famous artists such as Van Gogh, Monet or Sisley, you should definitely make a visit in here! The building itself is magical and you can go up behind the huge clock on the building! Feeling like Matilda? Sacre Couer basilica is located in a Montmartre neighborhood up on the highets point of the city, where you can have a magnificent view over Paris. Montmartre is such a cute place with little streets where you can feel like Parisian! In central Paris, you may find many nice parks, such as this one! Arc de Triomphe (Arch of stars) is one of famous landmarks of Paris too. Located on one end of Champs-Elysees and at the center of Place Charles de Gaulle. Juncture formed by its 12 radiating avenues. Another viewpoint of Paris on top of the Arc de Triomphe. Another public garden in the centre of Paris, located between the Louvre museum and the Place de la Concorde. The gardens were first made it to public after the French Revolution. This is a magical gem in the heart of Paris! Centre Pimpidou is a complex building with an interesting facade that you will not miss. Located near Les Halles and the Marais, the high-tech architecture building is a house for Public information library, modern art museum as well as centre for music and acoustic research. It is named after Georges Pompidou, the President of France from 1969-1974 who commissioned the building. How to get around Paris? It can be pretty easily walkable. However, the easiest way to get around Paris is by metro. It is known that Paris metro are very old so don't get shocked once you get down. Depending on your length and necessity, you can purchase one off, one day, 10 days, one week etc. tickets from the machine or the ticket booth in every station. I tend to go for one full day ticket, because it is more convenient. It cost just a bit over 4 euros, compared to 2 euros single trip ticket. Note down, that one day ticket expires at 5 am the following day. So unfortunately it does not work as a 24 hours ticket. 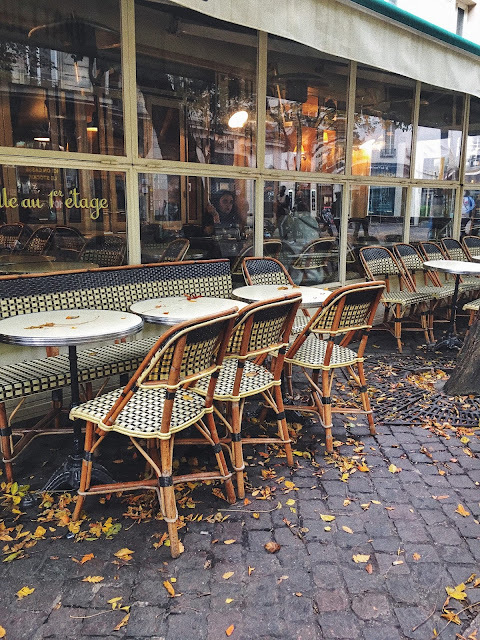 Where to eat and drink in Paris? Where to shop in Paris? From London to Paris is easily accessible by train through Eurostar. It took only a bit more then 2 hours and half and the best thing by traveling by train is that you'll get off straight in the city. Therefore, no additional time and hassle getting from the airport to the city. This time we have spent our night in a hotel near the train station for the convenience. It was a horrible experience so will not even mention and go much into the detail. However, Paris offers many high-end or budget hotels as well as Airbnb is great option for those who seek budget but not a hostel. Sign up using my Airbnb link and get £13 of travel credits! Additionally, if you prefer hotels, book your stay through my Booking.com link to get travel credits too! Jé, to jsem ráda:) Tak ať si Paříž užiješ!